But of course, you can load this eftpos gift card with whatever cash value you like (well, between $5 and $5000). This card gives your recipient the green light to treat themselves — a sentiment that they’ll certainly appreciate. It stands out in most wallets, being a little bit on the colourful side. And, as you know, being visible and remembered is a key in building that gratitude. 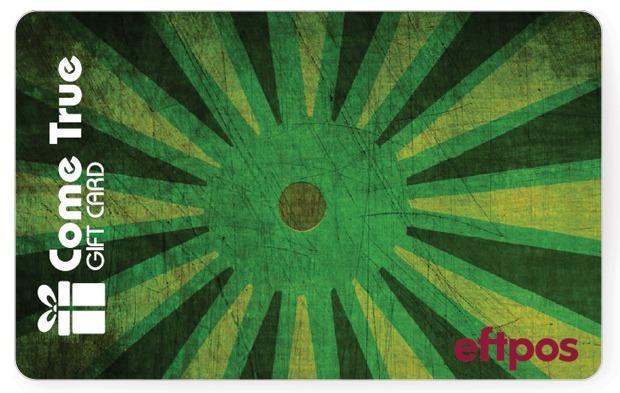 The green starburst eftpos gift card is one of our ready-to-go cards. We know that it’s the design stage that often holds up production: you need approval from all stakeholders, you need to get the file type right, you need to liaise with your graphic designer… Circumvent that whole process with a pre-designed card, like this one.